The IV Century B.C. was a particularly fertile ground for the proliferation of astrology. Plato and Aristotle had a common point of view of the universe, and they spoke about connections between the celestial bodies and the world under the Moon (Earth). Astrology had influenced the study of medicine as evidenced in the work of Hippocrates (460-377 a.C.) that lived on the island of Cos. Hippocrates defined the four humors, which he said are found in the blood (hot and humid), in the yellow bile (hot and dry), in the black bile (cold and dry), and in the phlegm (cold and wet) and established the correspondences of these humors with planets. In the year 140 B.C. Hiparco of Bitnia cataloged 1,081 stars, and a few decades after the Syrian Posidonio of Apamea extended their knowledge of magic and Astrology to the school he founded in Rhodes, where he studied both the Romans and the Greeks. Probably Manilus frameworks was influenced by Posidonus of Apamea when he wrote his verses titled "Astronomic". The Romans, who had a primitive form of divination traditionally practiced by the augurs, received the astrology in the II Century B.C. of the Greeks who lived in the colonies in the south of Italy. The Romans took the Greek system of the Zodiac, appointing the planets with the names of the Roman deities and Latins (names that are still in use) and naming the seven days of the week with the corresponding Gods and planets. This tradition also influenced the Anglo-Saxon names of the days of the week that still reflect an old connection. Around the year 270 BC they mentioned the judicial and medical astrology in the poem Diosemeia of Greek Aratus of Soli which was translated into Latin and influenced the Romans. In ancient Rome the Judicial Astrology survived the years of the Republic despite the efforts anti astrological of famous intellectuals of the moment such as Cato (the Censor) and Cicero. In the year 139 B.C. after of the concern of the slaves and the low class in Rome, astrologers were expelled from the roman borders of Italy. In spite of this opposition, astrology gradually came to be accepted among the intellectuals toward the end of the I century B.C. mainly as a result of the spread of Stoicism (that had taken to astrology as part of your system). At the same time that the empire is christianized, the Christian Church began to oppose officially to certain types of astrology in the IV century A.D. (for example in the writings of the Council of Laodicea). 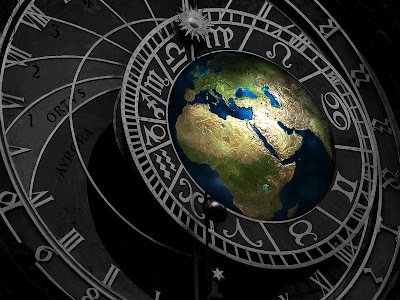 During the Hellenistic Age astrology began to flourish in Egypt through the school of Alexandria, in which the astrological knowledge of Babylonians and Egyptians were melted in Greek philosophy. The earliest Greek Hermetic literature in the II Century A.C. focused in astrology. Fragments of these texts, among which are the Salmeschiniaka and the book of Nechepso and Petosiris, have survived in the Catalogus codicum astrologorum Grecorum, as well as appointments in Arab jobs in the IX century and books written by Latins later. A poem of astrology, Astronomica, of which there are still five books, was composed at the beginning of the century I A.D. by Marcos Manilius. Manilius collected contemporary knowledge of this science, often in contradictory terms and under the influence of the cosmic vision of the Stoics and their correlation between the macrocosm and microcosm. In the II century A.D. Vetius Valens, an intellectual of Antioch who was in Alexandria, Egypt, compiled the anthology, a job of astrology that displays the new concept of this field as a secret art learned through the initiation. Ptolemy, one of the most influential intellectuals in the history of astrology, also lived in Alexandria in the century II. Its main tasks were the Almagest by (Greek of the largest) and the Tetrabiblos Quadripartitum (in Latin). The Almagest was a work of astronomy that taught as predict celestial phenomena through the use of mathematics. The Tetrabiblos became the main text for astrologers and occultists of the Western world by several centuries. Ptolemy met the knowledge of Chaldean and Egyptian astrology and re-interpreted it at the light of Greek philosophy, in particular from the perspective of the Stoics. The idea is that the whole matter is linked in a continuous cosmic and it became a rational explanation for the relation between the changes in the universe (macrocosm) and in the man (microcosm). 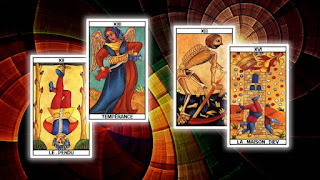 The magic and traditions such as the symbolism, palmistry, geomancy were annexed to the divination astrology, although these have not changed the basic principles of astrology. The work of Ptolemy was an authority for centuries, particularly in Constantinople (Byzantium), the capital of the eastern part of the empire where the Greeks remained as the language speaker. In the year 500 A.C., Retorius introduced, among other elements, the division of the Zodiac signs in triads, corresponding to the four classic elements. Although some theological schools in Byzantium accepted Astrology, several Christian emperors like Constantine, Teodocio, and Valerian, began to ban and threatened to astrologers with exile. In the first years of the century V, in Plato's Academy of Athens, the last bastion of the pre-Christian culture, Proclo (410-485) commented the Tetrabiblos with respect to the stars as a "secondary cause of terrestrial events". But in the year 529, the emperor Justinian (527-565) closed the Academy, saying that it was a center of pagan thought and much of the scholars of Athens fled to Persia and Syria.